How much is Blake Mycoskie Worth? Blake Mycoskie Net Worth: Blake Mycoskie is an American entrepreneur, author and philanthropist who has a net worth of $300 million dollars. 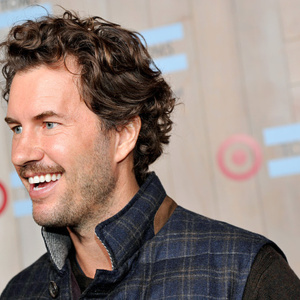 Blake Mycoskie is best known as the founder and Chief Shoe Giver of Toms Shoes. Blake Mycoskie was born on August 26, 1976 in Arlington, Texas where he graduated from St. Stephen's Episcopal School in Austin in 1994. He attended Southern Methodist University on a partial tennis scholarship in 1995, but left school after a tendon injury ended his tennis career. Following college, Mycoskie moved to Nashville to found Mycoskie Media, an outdoor billboard company which focused largely on marketing country music. The company was quickly profitable, and was bought by Clear Channel nine months after its launch. In 2001, Mycoskie and his sister, Paige, appeared on the second season of "The Amazing Race", and finished in third place, missing a million dollar prize by four minutes. Mycoskie moved to Los Angeles later that year. Mycoskie, who first visited Argentina while competing on the "Amazing Race", returned to the country on vacation in 2006. While there, he met an American woman who was part of a volunteer organization which provided shoes for children in need. Inspired, Mycoskie returned to the United States and founded Toms. Designed as a for-profit business which could continually give new shoes to disadvantaged children, he created the "One for One" business model: the company would donate a new pair of shoes for every pair of shoes sold.